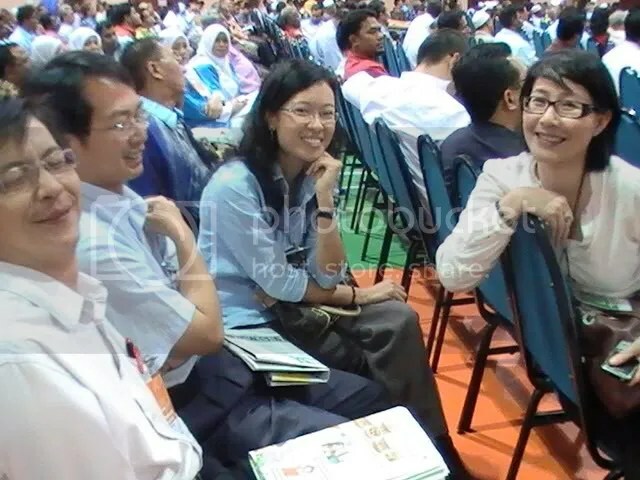 IPOH, Sept 6 — After decades of politics MCA-style, the experience of just over a month of fiery Opposition politics has been nothing short of a major culture shock for former party stalwart Datuk Chua Jui Meng. For once, he is finding his oratory skills can be put to good use and people actually listen to him in rapt attention during ceramahs. Those who turn up also do not seem to expect free handouts like transportation, food, money or goodie bags. In fact, many appear willing to travel some distance to attend such rallies. 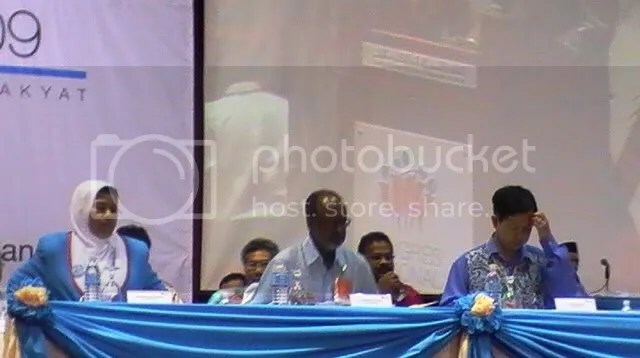 This was evident during the ceramah at the Tow Boo Keong hall here on Saturday night where more than 1,000 supporters gathered to listen to a star-studded line-up of speakers, which included Chua himself, Opposition Leader Datuk Seri Anwar Ibrahim, PKR vice-president R. Sivarasa and Parti Keadilan Rakyat strategic director Tian Chua. 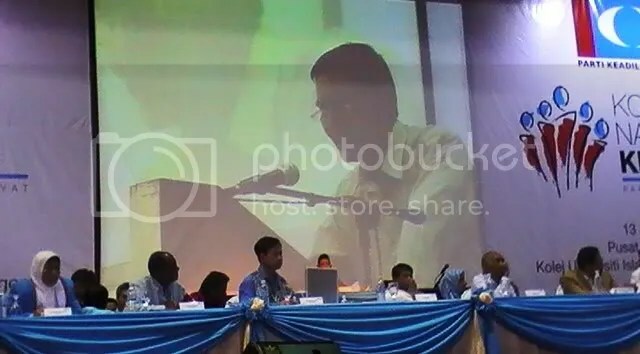 In his speech, Chua, who not too long ago had adamantly said he would never leave the MCA for PKR, said such a sight was enough to convince him he had indeed made the right move to leave. “I woke up on Merdeka morning and told my wife who was lying down beside me — I feel good and so young today — and I knew what made me feel that way. “When I joined the PKR, it was after a long struggle for me. It was not easy to leave and join a new pathway. “But after that decision, I suddenly began to feel…like how you felt when you voted for the Opposition… I felt free,” he said, to thunderous applause. The former MCA man claimed he had never before experienced such “heart-warming” and overwhelming response for any political function in his political career until the day he joined PKR. “I was in Permatang Pasir, helping with the by-elections and it was so amazing, so overwhelming to see the crowd come together. “It is so heart-warming to see people of different races actually sitting together and working together and getting along — and they all want change,” he said in a press conference after the function. His eyes lit up when reporters asked if he would be instrumental in the coming by-election for the Bagan Pinang state seat in Negeri Sembilan. “Yes, yes, I will be there to contribute. Definitely,” he firmly said. In fact, Chua is also confident that more would follow in his footsteps and leave the MCA to join a Pakatan Rakyat component party. During the function earlier, a total of 600 applications for PKR memberships, signed by Barisan Nasional members, were handed over to Anwar. Of the lot, at least 400 were from MCA, and officials claimed they comprised a former elected representative, a former division deputy chairman, scores of central delegates, divisional party post holders and members. “It is no surprise that so many would join us from MCA. We expect that this wave is only just the beginning,” said Chua. 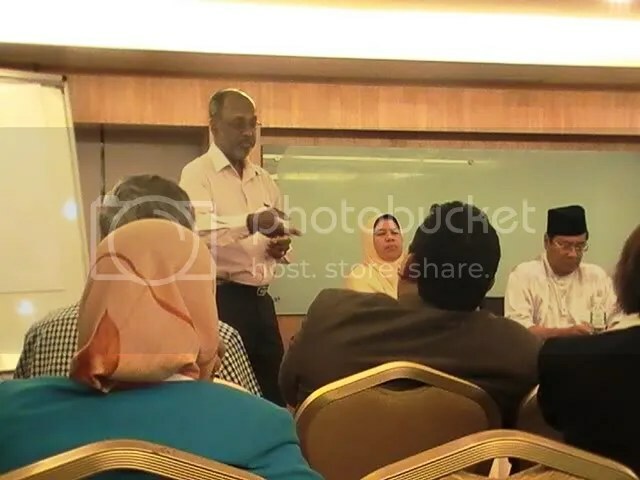 He added that the crossovers only mirrored the fact the party members were finally waking up to see that MCA was only a space-filler in the Barisan Nasional structure. “We are only there to say yes and to take up some spots in the Cabinet and in the Government. “MCA does not rule the nation. In the end, it is Umno that leads Malaysia, under the name of the BN,” he said. Chua said that MCA could probably stand a better chance of survival if it abandoned the coalition and stood on its own. 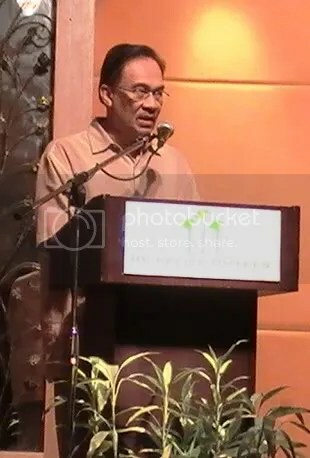 During the function, Umno strongman Datuk Dr Abdul Malek Md Hanafiah, who is a former Perak state executive councillor, former Kamunting assemblyman and former Taiping Umno division chairman, was also seen confidently strolling into the temple hall shortly after Anwar’s arrival, to loud applause from the people. 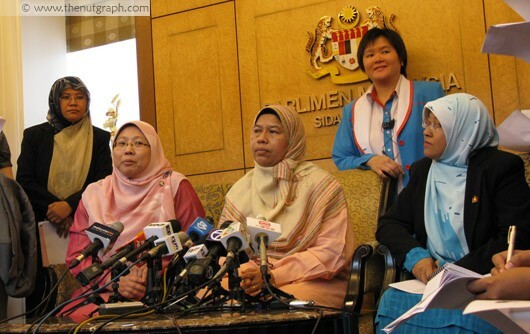 KUALA LUMPUR, 16 June 2009: The women’s wing of Parti Keadilan Rakyat (PKR) wants Women, Family and Community Development Minister Datuk Seri Shahrizat Abdul Jalil to come up with a clearer national women’s policy on gender representation. “This issue needs political will. 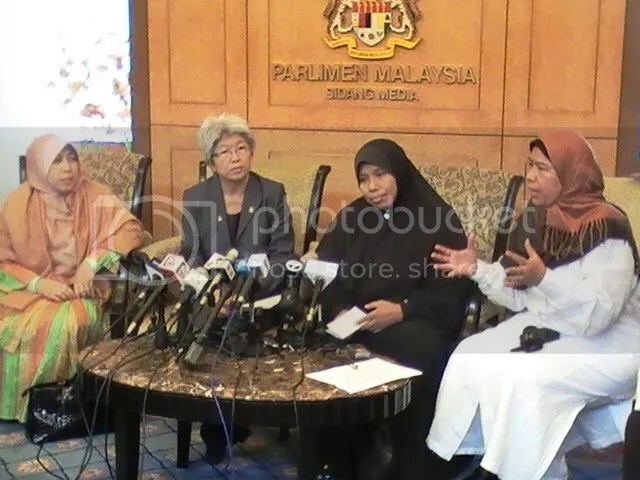 We want to see that from the government,” PKR Wanita chief Zuraida Kamaruddin said at a press conference in the Parliament lobby today. 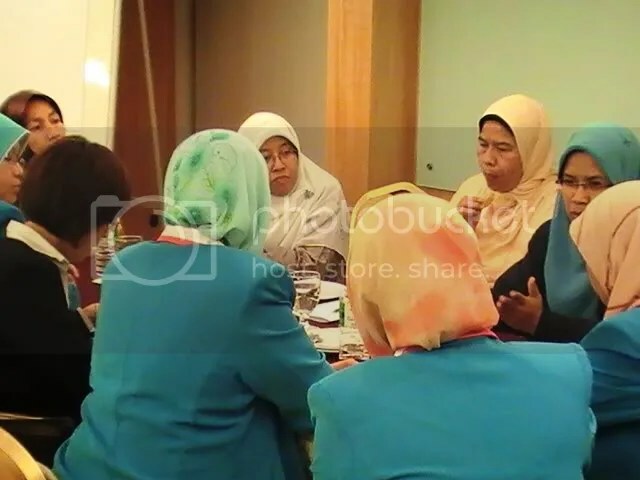 Zuraida expressed disappointment that the government had yet to commit to ensuring more equitable representation of women in leadership positions. In contrast, Zuraida said PKR had amended its constitution so that 30% of party leadership positions were reserved for women. The amendment was one among several passed at the party’s special congress on 13 June. 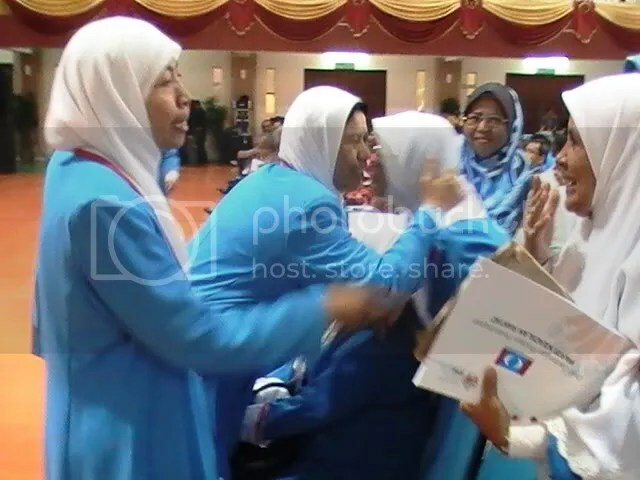 “For the past 10 years, PKR Wanita has been struggling for this. Now, we have achieved it,” Zuraida said. “We are preparing ourselves to take over the government. We are ready with all these structures, to show that we are committed to the issue, and have the political will,” she added. 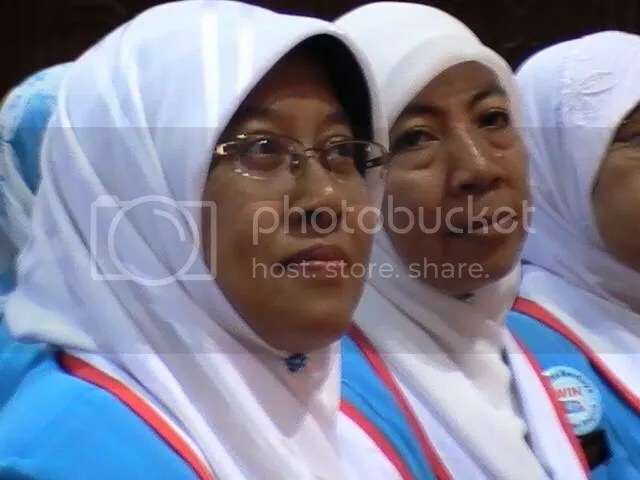 However, when asked how the party would fulfil its 30% quota, Zuraida admitted that PKR did not yet have sufficient numbers of capable women leaders. She stressed that it was the responsibility of everyone in PKR, not only its women’s wing, to get women into the party’s leadership. She was, however, short on how this would be done within PKR. She said some male party members had even suggested, during the special party congress, raising the quota for women in leadership positions in the party to 50%. 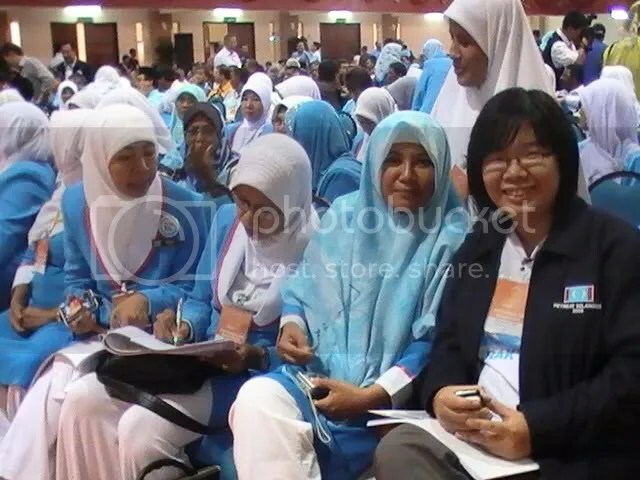 “The next step is to move out of the party, to educate the masses on women’s participation,” Zuraida said, noting that 52% of voters were women. 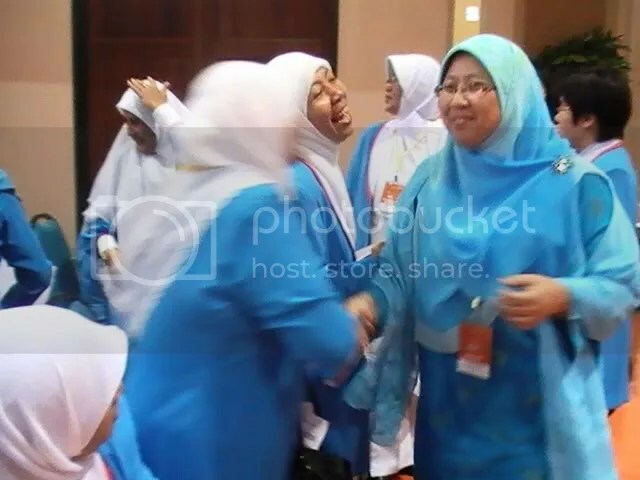 THE move to appoint Tenggara MP Datuk Halimah Mohd Sadique as the new Commercial Vehicle Licensing Board chairman was commendable, said Wanita PKR chief Zuraida Kamaruddin. 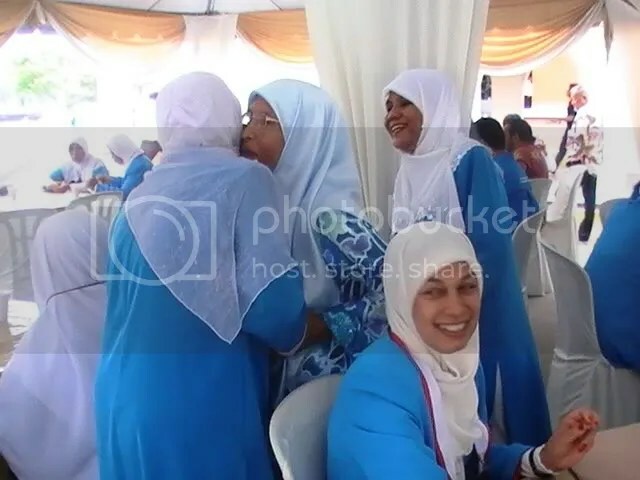 However, she said Women, Family and Community Development Minister Datuk Seri Shahrizat Abd Jalil must be serious in helping women achieve the 30% quota for leadership positions in politics. PKR is set to implement wholesome changes in the party which will see direct election of leaders by all members as well as limiting the term of the president to three terms or nine years. For these to happen, the party will be calling an extraordinary national congress this Saturday to discuss and approve some amendments to its constitution. Once it is approved it will be implemented during the party elections next year. PKR vice-president R Sivarasa told a press conference at the party headquarters this morning that these proposed changes reaffirmed the party’s commitment to democratic reform and change at the national level of politics. “Such a step will also help reduce and eliminate any unhealthy tendencies towards money politics and phantom branches as we have seen in some political parties in Malaysia,” he said. The biggest change to be implemented would be “to transfer and broaden the right to elect national leaders (including Youth and Women wings) from delegates at the national congress to ordinary members of the party who now number about 300,000”. “This move is to strengthen the practice of democracy within the party and to move the party in line with practice in mature democracies. “If this amendment is approved, PKR will be the first large political party in Malaysia to allow its members to decide the national leadership,” he added. Sivarasa (left) said that further changes to be implemented included strengthening democratic practice within the party by limiting the term of the president to three terms or nine years. Apart from that the Youth wing was being revamped with an amendment to bring down the qualifying age to 35 years and below from the current limit of below 40 years. “Its implementation, if approved, will however be staggered – with immediate effect for all appointed positions at all levels and overall implementation in the election year after the next i.e. is expected to be 2013 or earlier. “This brings our Youth wing in line with internationally accepted standards for the definition of youth and to ensure that our youth wing leaders and membership reflect the aspirations of those 35 and below,” he said. About 1500 out of 2400 delegates are expected to attend the extraordinary national congress in Bangi this Saturday but the debate sessions and passing the constitutional amendments are to be held closed-door. On the same note, Sivarasa also said that the party is looking at modifying the leadership structure to reflect their current role in national politics. For example, he said, the number of vice-presidents will be increased from five to seven “so that there is more scope for representation”. “Similar changes are being made for the Youth and Women’s wing. The state committees are also being modified for more flexibility,” he said. To add to the changes, Sivarasa said, the party is planning to strengthen the leadership of women in the party with a new clause by implementing a policy to ensure that at least 30 percent of the leadership positions at all levels are occupied by women. “Again, this will be ground-breaking as no other party has such an express committment, said Sivarasa, who also the head of party constitutional amendments committee. Apart from that, the party is also looking at rebranding terms used in the party structure “to reflect terms that are progressive and more egalitarian” by moving away from terms associated with traditional party structures and feudal connotations. “So ‘bahagian’ (division) will now be known as ‘cabang’ , ‘cawangan’ (branch) as ‘ranting’, ‘majlis pimpinan tertinggi’ (Supreme Council) as ‘majlis pimpinan pusat’ and ‘perhubungan negeri’ (liaison state) as ‘majlis pimpinan negeri’,” said Sivarasa. According to Sivarasa, the only challenge the new constitutional amendment will face would be in terms of logistics. However, this would be prevented by having national balloting at national levels. But this would not be an ordinary vote-casting, added Sivarasa, as the party may introduce indelible ink ‘to show how an election is run properly’. Meanwhile, PKR communications chief Johnson Chong clarified that the election process will not take place during the congress as it will be held much earlier. “Then, we just take the ballots and count them and we will only announce the results during the congress,” said Chong. Although the members will have full rights to vote directly on their national leaders, the status quo of the delegates will still be maintained in the party, said Sivarasa. “We still have delegates to attend the annual congress because having 300,000 members to come to the congress would not be practical. “Every division still continues to send 12 delegates to the annual congress but the difference now is the rights electing national leaders would not be dependant just on them but on the members,” said Sivarasa. He also added that ruling party Umno has also adopted the idea of having direct elections mainly “because they are forced to weed out money politics”. Last May, Umno vice-president Hisammuddin Hussein revealed preliminary suggestions on amendments to Umno’s constitution for what he hoped will help transform the party towards being more accessible to the grassroots. Among suggestions made were amendments to the party’s elections laws to allow the 3.4 million grassroots members to directly elect the party’s top leadership. Pemimpin sejati akan sentiasa diuji sehingga ke akhir hayatnya. Betapa dalam ujiannya di kala ini, dalam keadaan keseorangan dan kesihatan yang kurang baik, AUNG SAN SUU KYI mendapat perhatian dan empati kita semua. Semoga Tuhan sentiasa memberikan beliau sepenuh kekuatan dalam menghadapi kezaliman regim Myanmar. Rakyat sebenarnya berperanan untuk merubah keadaan sesebuah negara. Kuasa mutlak memilih pemimpin adalah ditangan rakyat. Di Myanmar ia lebih sukar kerana kuasa diktator dan penggunaan kekerasan ke atas rakyat. Jalan menuju demokrasi tentunya akan mengorban jiwa sebagai perjuangan yang membina laluan untuk kesinambungan perjuangan menentang kezaliman. Di mana-mana jua termasuk Malaysia, sebagai strategi dan taktik politik, rakyat akan dibiarkan dalam keadaan jahil dan miskin supaya dapat diperkotakkatikkan menurut hawa nafsu pemimpin yang durjana. Manusia pemimpin yang tidak takut kepada Tuhannya akan melakukan apa saja yang terdetik di hati mereka untuk mengekalkan kuasa. 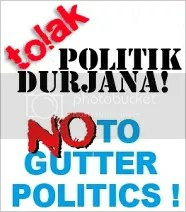 Perlulah ada segolongan yang cekal jiwa dan semangat mereka dalam menghadapi kedurjanaan politik ahli-ahli politik durjana sedemikian. Bantulah golongan pejuang ini. Berilah segala sokongan yang diperlukan oleh mereka. Sahutlah segala permintaan mereka. Yang lebih baik adalah memberi kepada mereka sebelum mereka meminta. Di Malaysia, perjuangan yang dilalui oleh ahli-ahli politik yang luhur dan berjiwa besar membina kekuatan dalaman dan menjadi harapan rakyat. Mereka berligar di kalangan rakyat dan mendapati rakyat dalam apa keadaan mereka sekalipun, walaupun sentiasa terhad segala sumber-sumber yang ada – bahkan ada kalanya kehabisan sumber. Sebahagian rakyat juga perlu memahami keadaan itu. 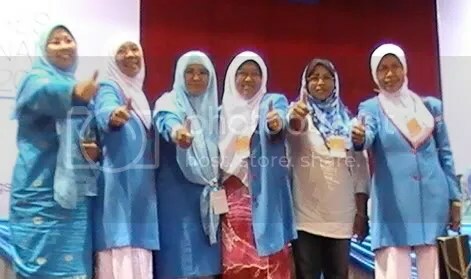 Semoga Allah mempermudahkan segala kesempitan dan urusan para pejuang dan penegak keadilan. Malaysians are disappointed and gravely concerned to receive news that Daw Aung San Suu Kyi was charged in court today for breaching her detention conditions, not to mention that she is now kept at the notorious Insein Prison in Yangon, pending her trial on Monday. Moreover, in light of her poor health over the last week and the fact that she has been denied access to her personal physician, the latest action by the Myanmar military junta against her is deeply troubling. KEADILAN strongly condemns the continued oppression and political persecution of Aung San Su Kyi by the Myanmar authorities, which appear to be orchestrating a sham trial to convict her and extend her already lengthy and unjust incarceration. We also join the voices of millions around the world who are now demanding for the immediate and unconditional release of Aung San Suu Kyi. Further, we note that the people of Myanmar have been deprived of democracy, freedom and economic progress by the military regime since 1990, when they lost by a landslide to the National League for Democracy, which was founded by Aung San Suu Kyi. And we are also painfully aware that there are still more than 2,000 political prisoners being held throughout Myanmar, although a general election is scheduled for 2010. Therefore, I humbly appeal to Asean and the international community to speak out and take action to ensure that the people of Myanmar can enjoy basic human rights that are recognised and enjoyed throughout the world.